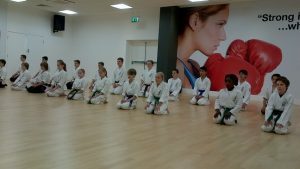 At Shizendo Kids Karate we endeavour to provide boys and girls of all abilities a professional, fun, safe and educational martial art environment to learn and develop their karate skills. Each child is unique and very much an individual; strengths and weaknesses differ from one to another. Kids Karate classes are divided into as many small groups as possible, with each group having their own instructor. The groups are belt colour related to give the best coaching session possible. We understand that each and every child develops at their own pace and that small groups work best. 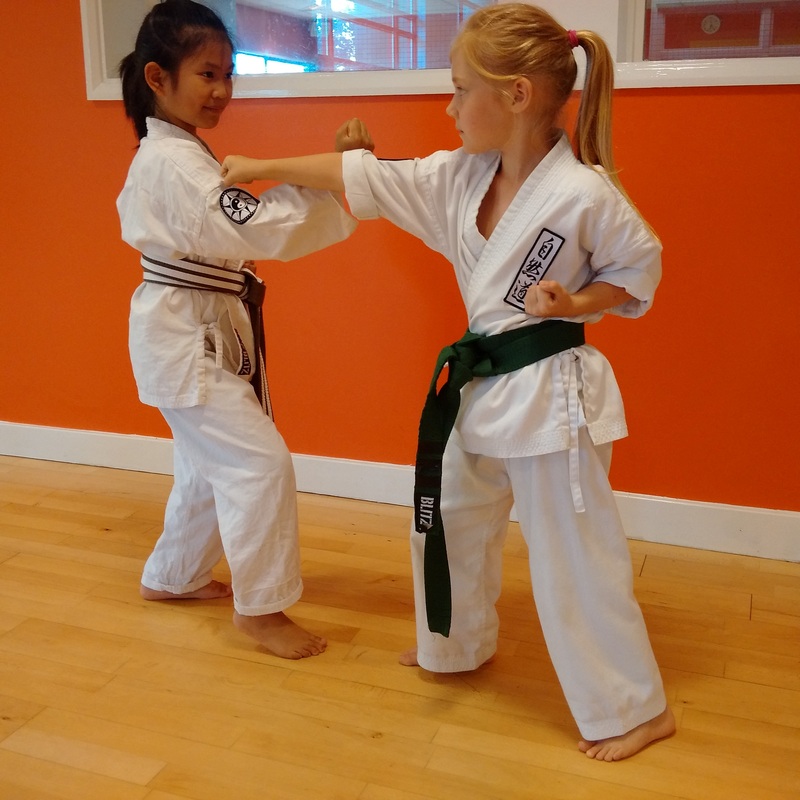 Classes are disciplined, structured and physically active – but fun! Coaching and instructions are clear and concise. The learning of martial arts is dependent on the developmental stage of the student; his or her success in mastering the various skills is dependent on physical and psychological maturity (age). It will normally take a little longer for a five year old to learn basic kicks than for a ten year old, even though there are exceptions. Patience with your child’s progress is paramount while each piece of the complex jigsaw of Martial art skills is learnt. Some children have a basic understanding of balance which we build upon; these children normally pick up the basic movements because the foundation of balance is already there. Other children lack this basic requirement; with these children we first have to teach them balance (stop them being wobbly) then we can proceed with the techniques of the Martial Arts. This is where the patience comes in. The success achieved in the children’s personal development is twofold: 1) Gradings. The children’s skills and abilities are constantly reviewed in class training. 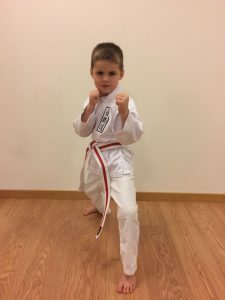 When they can demonstrate skills that warrant moving on to the next level the children can participate in a grading where a successful demonstration of these skills will be rewarded by moving on to the next belt in the system. Motor skills and coordination are enhanced with more complex skills adding to the children’s progress towards black belt. 2) Training in Martial Arts develops children as valuable members of society through installing respect, self-esteem, and confidence. This is achieved through interactive play in partnered training. 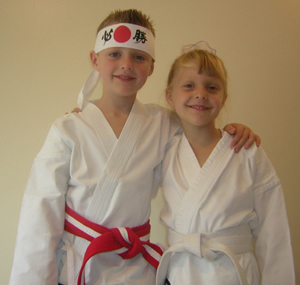 Shi Zen Do Martial Arts School sees Karate as a medium to develop a child’s co-ordination and interaction skills. 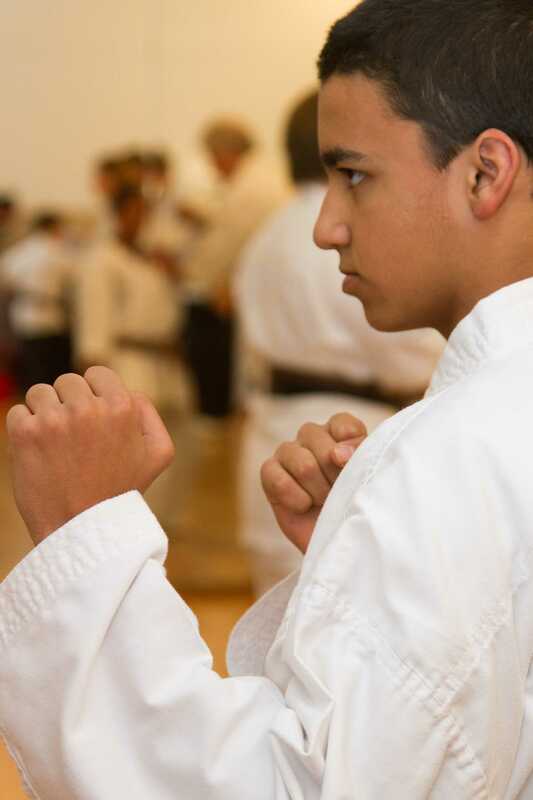 Above all it gives Karate Kids confidence to realize their own potential. Karate can teach a child how to learn by applying the mind in the body (techniques), making the child more aware of his actions. In other words, Karate is a tool to help a child develop through the various stages to adulthood. Time is also given to discussing the subject of bullying: how to recognize the danger signs and techniques the children can use to avoid bullying (go to articles page, click “bullying”). We aim to teach the children HOW to learn – this in turn could improve academic performance at school. The key to learning is discipline which leads to respect; these are the foundations of good behavioral patterns which all children need as a guiding force in life.